From about 1846 until 1872, an Indian "trading house" occupied a site near here. Built by James Bordeaux, the trading station was once attacked and set afire by hostile Crow warriors. Fortunately, some friendly Sioux Indians came to the rescue and drove off the attacking Crow. James Bordeaux was from a French settlement near St. Louis and while yet a young boy, he went west with fur traders. Bordeaux was active in the fur trade in the vicinity of Fort Laramie from the 1830's until the 1870's. In the 1840's, he served as host to the explorer John C. Fremont and the historian Francis Parkman. He left his name to Bordeaux Bend near Fort Laramie, scene of the Grattan Massacre. His name also survives in the name of Bordeaux Creek, near this marker. The Indians brought buffalo robes, furs, and ponies to this post to trade for guns, powder, beads, blankets, an d whiskey. Some of the weapons may have been used against the troops at Fort Phil Kearny and Custer's troops at the Little Big Horn. The story of James Bordeaux's life is the story of the Upper Missouri country from the 1830's-1870's. 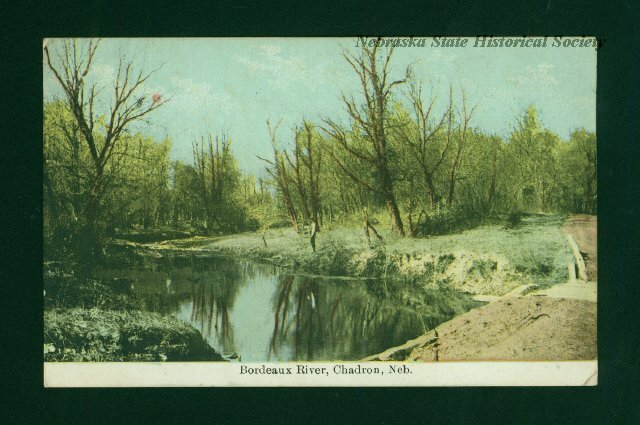 “Bordeaux Trading Post,” Explore Nebraska History, accessed April 18, 2019, https://mynehistory.com/items/show/112.